I’m not saying that Tebow or McFadden shouldn’t win the award; I’m merely stating that other candidates should be looked at as well. Here is a list of some of the candidates that are or should be up for the award. If there is one thing that you can’t ignore about Tim Tebow, it’s the numbers: 29 passing touchdowns, 22 rushing touchdowns. That will grab anyone’s attention, especially the voters. There is just one number I can’t ignore: 3, as in 3 losses. I know this has been a crazy year and all, but it’s hard for me to say that someone is a Heisman winner when his team is 9-3. Tebow did not play exceptionally well in any of those games. I know they were tough games, but that is when the Heisman winner is supposed to shine. Lets take a look at the rushing touchdowns. I know he is being praised for having 22 rushing touchdowns, but let’s look at the numbers. Eighty percent (16/20) of these rushing TDs were distances of 5 yards or less. 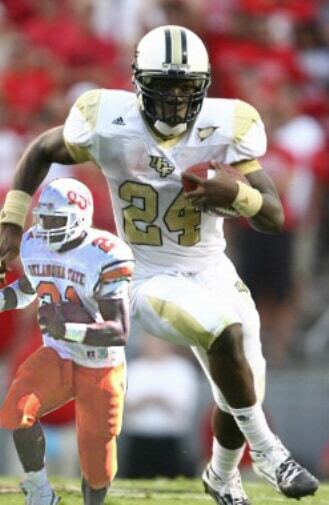 If Florida used a fullback, he would be getting most of these carries. Only two of his touchdowns were plays of 15 yards. 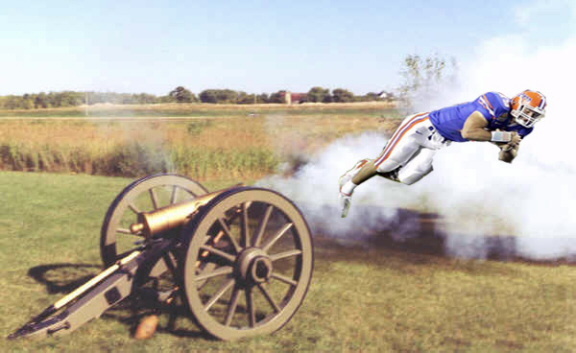 When I see Tebow, I think of a cannonball that was just shot out of the 1st and 2 from the goal cannon. I’m not trying to take away from the fact that he put up amazing TD numbers because he did. I just think that the voters need to recognize that they all weren’t amazingly difficult touchdowns. All in all, Tebow will either be first or second in the voting, and deservedly so, but other candidates should not be brushed aside because of it. Next, there is Darren McFadden. The Pro. The Prospect. The Future. These are all things I hear about McFadden. He is being touted as the most NFL-ready running back this year and rightfully so. 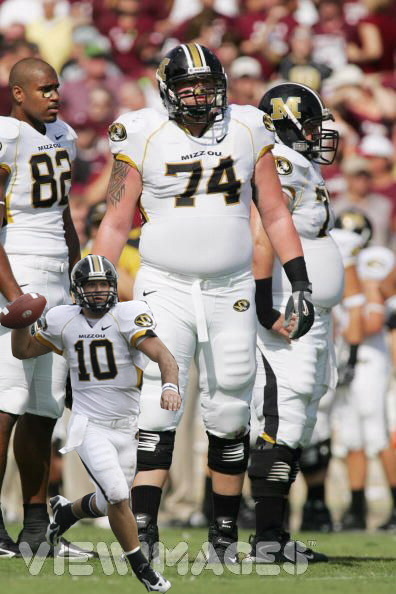 I believe he can be as productive as Adrian Peterson at the next level. All that behind us, the Heisman should go to the best college player of the year. McFadden had an outstanding year, but lead his team to an 8-4 record. Usually, the quarterback is the leader of the team, but hell, McFadden played quarterback half of the time, so he should shoulder some of the blame. 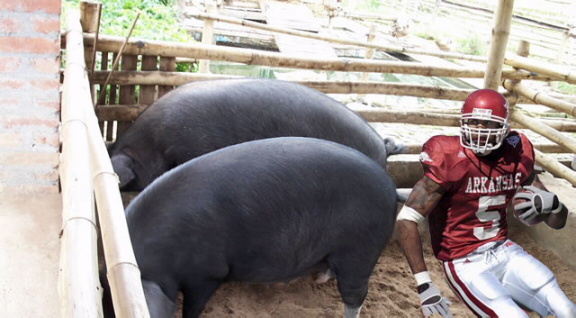 During Arkansas’ four losses, McFadden scored 3 times. Two of the losses he was held scoreless. For someone to be considered the best, I believe he should perform on the biggest stage and perform well. Not scoring when it is absolutely crucial is a big no no. I do give props to McFadden for playing some quarterback during the LSU victory. I also give props to McFadden for living in Arkansas for three years–that is worthy of a Heisman in its self. While McFadden was an outstanding back and will be an excellent pro, I do not believe that he was the best college back this year. We’ll talk about that back later. Now these guys in the rest of the pack won’t be scrutinized as hard seeing as they are not being actively considered as the front runners in the race. These are players that I feel should get some recognition for having good years. What do most fans of college football want to see? The answer isn’t a foot race between Mark Mangino and his chins; the answer is touchdowns. Where else are you going to find touchdown than the high-octane offenses featuring Graham Harrell, Colt Brennan and Paul Smith. Let’s take a look at the stats of these guys. I know you can’t go off of numbers alone, but these numbers are incredible. All of these quarterbacks have also put up similar or better records to the two main contenders. Because of these high-flying offenses, these players are labeled as system quarterback and always will be labeled that way. It’s an easy way for the Heisman voters to dismiss their successful seasons without feeling bad about it. Maybe one of these quarterbacks will just have to go undefeated…Oh wait, sorry Colt. Oh Chase Daniel, how mighty you were two weeks ago. Two weeks ago, you were in the drivers seat for the Heisman, and all you needed was a victory over Oklahoma. How soon everyone forgets about that. Chase Daniel had a magnificent season throwing for 33 TDs and leading his team to the Big XII championship game, something neither Tebow nor McFadden did. Too bad he had to run into OU and Sam Bradford, who will be in the Heisman discussion soon enough. While Daniel didn’t put up in-your-face numbers, he still led his team to victory week after week while being the best quarterback on the best team (for one week). Daniel did all of this while barely being able to see over the offensive line and standing in at 5 foot 3 inches. 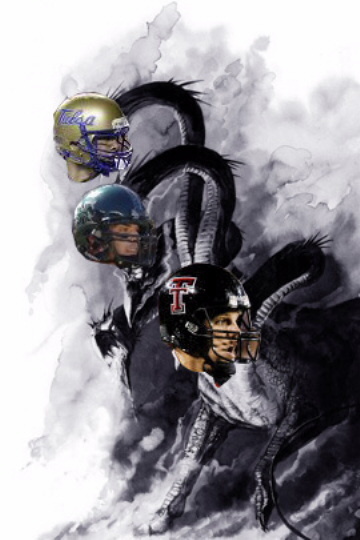 While he will no doubt get an invite because of the late season hype, he will not come close to sniffing the jocks of the big two. I say to Chase, “maybe next year.” But then again, Tebow may win his second Heisman, so good luck with that. Now let’s take a look at my choice for the 2007 Heisman award. Most rushing yards in the NCAA, check. Leads nation in scoring and touchdowns scored, check. Led team to 10 wins and conference championship, check. What else do you want from a Heisman winner? What most people don’t realize is that Kevin Smith has rushed for 2,448 yards. What most people also don’t realize is that 2, 448 yards is the SECOND most all time for yards in a season, behind the elusive one-year-wonder Barry Sanders. In fact, Kevin Smith is 181 yards away from breaking Sander’s single season mark. One big bowl game for Kevin Smith, and he breaks it. He will not be invited to the ceremony, and that is a shame. The best college football player this year has to wait until next year, but I doubt he will stick around to get snubbed again. Hey Barry, if you sell your Heisman like OJ, let me know.